Mr. Douglas Wilson brings nearly 35 years of experience in problem resolution, development, and real estate management to his Companies’ clients. During his career, Mr. Wilson has overseen the development and management of nearly $15 billion in assets and has served as a Court-Appointed Fiduciary for over 1,200 State and Federal Court matters, located in 35 states. 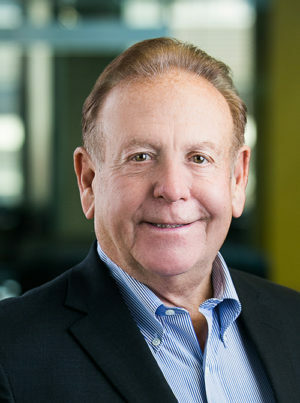 Prior to founding Douglas Wilson Companies in 1989, he was the managing general partner of the company that developed Symphony Towers, a $160 million, 1.2 million square foot office and hotel complex; one of downtown San Diego’s largest mixed-use projects of its kind. Mr. Wilson holds a Bachelor of Arts degree from the University of Denver. Mr. Wilson has authored articles for general news and business publications and is often a featured speaker at various business and civic meetings and seminars. A $60 million poured-in-place concrete and brick building with 120 one and two-story residential lofts located in Downtown San Diego’s East Village neighborhood. A 675,000 square foot office complex on the San Francisco Bay waterfront, adjacent to the San Francisco Giants’ Pacific Bell Park. A 400,000 square foot office building with ground floor retail, located in the Capitol Riverfront District of Washington, D.C..
A 268,762 square foot office and research facility located adjacent to the University of Maryland. A 7,000 acre four season resort and residential community offering world class alpine, snowboarding and cross country skiing, championship golf, biking and hiking trails, whitewater rafting and fishing on Idaho’s renowned Payette River, and swimming and boating on Lake Cascade. Multiple properties located throughout California, Washington and Hawaii, including a 2,500 acre farm used for breeding horses, llamas and alpacas.